We promote the art and science of welding and educate people about career pathways in the welding field. We do this by publishing welding books and providing welding awards and cash prizes as part of our welding contests. JFLF’s welding awards program honors innovative and artistic student, teacher and professional welding projects and technical papers that highlight the welding process. Our educational materials include lesson plans, welding project kits and arc welding tutorial DVDs for welding classes and welding projects. Whether it's creating a cool steel sculpture for a high school shop or art class or an intricate trade-level project, we want to officially recognize the welding process and the artistic impact it creates. Whether you’re a student, professional or recreational welder, resources that enhance welding education can help you develop your talents. We publish a variety of welding books on topics ranging from the history of arc welding to frequently encountered arc welding design challenges to standard weights and measures. We also offer an array of fun welding project kits that include a step-by-step guide, perfect for the classroom or individual. We offer an annual Arc Welding Project and Technical Paper Competition in various divisions: High School, Community College, College/University, Career, Technical School and Apprenticeship and Sculpture. The cost to enter the welding competition is free. Winners will receive either a cash award or welding equipment, personal recognition on our website highlighting your school and instructor (for students) and your project or paper may be published in one of our welding books. We will post news about our next welding contest soon. In the meantime, we encourage you to start thinking about our welding awards and how your arc welding project could be a contender. Leslie Brown is an Associate Attorney at the Lincoln Electric Company and President of the James F. Lincoln Arc Welding Foundation. Ms. Brown has been with the Lincoln Electric Company for 18 years. After graduating from Cleveland Marshall College of Law in 1996 she began her career at Lincoln Electric in 1997 focusing on Product Liability and Employment Law. 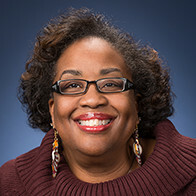 In 2009, she was promoted to Director of Human Resources and served in that role until April of 2013 when she transitioned back to the Legal Department. She was elected to the Board of the James F. Lincoln Arc Welding Foundation in 2013 and has served as its President since that time. She is also a board member of the Sturbridge Village Condo Association, where she has served since 2002 and currently holds the office of Secretary for that organization. She is also an active member of a Northern Ohio Local Engagement Group coordinated through Exponent Philanthropy (formerly Association of Small Foundations) whose purpose is to encourage conversation and collaboration between small foundations. 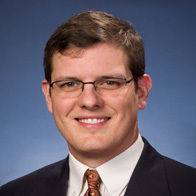 Carl has held the position of Director of Technical Training at The Lincoln Electric Company since 2003. He first joined Lincoln Electric in 1979 as a Technical Sales Trainee. In 1982 he was appointed to the position of Technical Sales Representative and in 1992 was named Sales Manager. In 1996 Carl was promoted to Director of Motorsports Marketing. 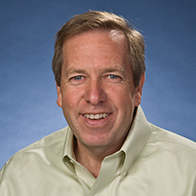 Carl is also Director of the James F. Lincoln Arc Welding Foundation, is a member of the American Welding Society (serving on the AWS Scholarship Committee), is Vice Chair of the IIW Commission XIV on Education and is a Global Industry Partner representative for WorldSkills International. Carl earned a BS in Industrial Engineering from Penn State University. Jason holds the position of Manager of Educational Services for Lincoln Electric. Hired as a technical sales representative in 2011, he was quickly appointed to the position of Welding Specialist in 2012, and in 2015 began service in his current role. Prior to joining Lincoln Electric, Jason spent 13 years as an educator in Missouri teaching agriculture education and agricultural mechanization courses. Jason earned a Bachelor of Science in Agricultural Education and a Master of Science in Technical and Occupational Education from the University of Central Missouri (Warrensburg) and a Ph.D. in Agricultural Education from the University of Missouri (Columbia). Lou has been with the Lincoln Electric Company for 18 years. Upon graduation from Penn State University with BS in Electrical Engineering, he joined in 1998 as a Technical Sales Representative. After working in Technical Sales in Texas for 6 years, he was promoted to his first International Assignment in 2004 in Mexico City as Technical Sales Manager. In 2006, he was promoted to Regional Manager for Central America & Caribbean, Mexico Exports Manager and Regional Marketing Responsible. 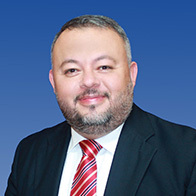 In 2010 Lou was promoted to Managing Director of Lincoln Soldaduras de Colombia, with direct P&L responsibility for Lincoln Electric’s Operations in Colombia. With Lincoln Electric’s Industry Segment approach, he was promoted to Industry Segment Manager for South America (except Brazil) in 2012 until present. 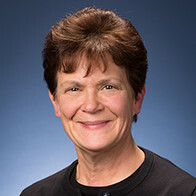 Lou has been an active International Board Member of the James F. Lincoln Arc Welding Foundation since 2008 and an active member of the American Welding Society. Lou Currently is Based in Colombia, South America. 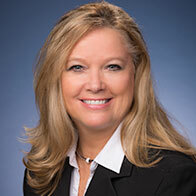 Lori Hurley is the Executive Assistant to the Senior V.P. of Sales & Marketing - Global, U.S. Sales Manager of the Lincoln Electric Company and Secretary to the James F. Lincoln Arc Welding Foundation. Ms. Hurley has been with the Lincoln Electric Company for 20 years. After graduating from Chardon High School in 1978 she attended Lakeland Community College. She worked in banking for 16 years before being hired at Lincoln Electric as a Purchasing Clerk in 1994. In 1997, she was promoted to a buyer in the Automation Division where she worked for three years, and then in 2000 was promoted to Executive Assistant to the Senior V.P. of Corporate Acquisitions, Investor Relations, Global Marketing, Domestic Sales and still holds the position of Secretary to the JFL Foundation. Administrative Assistant in the Technical Training Dept and Administrative Assistant to the James F. Lincoln Arc Welding Foundation. Mrs. Wilson has been with the Lincoln Electric Company for 18 years. Vicki graduated from Lehman College with a Bachelor of Science Degree in Computing and Management. She worked in the paper industry as a Senior Systems Analyst for 10 years in New York City. Vicki returned to Cleveland and joined the Lincoln Electric Company in 1997. Vicki’s excellence in her work ethic and knowledge has led her to her current position in the Technical Training Dept.